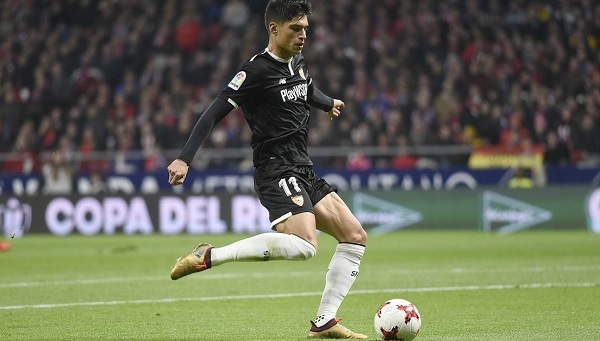 Joaquin CORREA scored for Sevilla in their 2-1 win against Atletico Madrid. The quarter finals first leg of the Spanish Copa del Rey was underway on Wednesday with Diego SIMEONE’s Atletico Madrid hosting Sevilla. The hosts took the lead through Diego COSTA but 7 minutes later Jesus NAVAS equalised for the visitors. Two minutes from time Joaquin CORREA scored the winning goal for his club. CORREA beat the Serbian Stefan SAVIC for the ball into the area as he put it passed the goalkeeper to secure the win. CORREA has been in Jorge SAMPAOLI’s plans in the past, having featured as recently as the team’s World Cup Qualifying match against Uruguay in Montevideo. It remains to be seen if he will be called-up for Argentina’s upcoming matches in March.